Brian Olive, former Greenhorne, has released one of my favorite records of 2012: Two Of Everything. 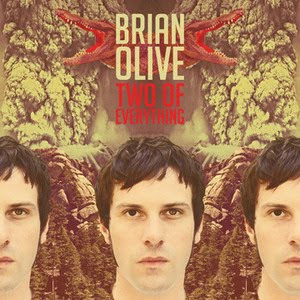 Olive has rightly become very well-known this year: he's a multi-instrumentalist who worked with Dan Auerbach on Dr. John's latest record, and Two Of Everything is meeting with nearly universal approval (if not ecstasy). I'll just go ahead and add my voice to the chorus of praise. From the funky, hard-rocking groove of opener "Left Side Rock" (free download available - click here), to the hypnotic electric piano and flutes of "Go On Easy" to the Motown rhythm section and horns fronting Lennonesque vocals on "You Can't Hide It"... the common elements are an explosion of talent and an amazing facility with different styles, tempos and genres. Everything on this record - the rhythms, the guitars, the horn sections - is well done, and Olive's vocals are certainly up to the task of carrying such a big-sounding record. In a way, though I wouldn't call this a rehash or even particularly "retro", I'm reminded of two old records: Rick Danko and Dennis Wilson's Pacific Ocean Blue. And you would say, those two don't sound much alike, and I would agree but still say those are the ones Two Of Everything reminds me of. Both are subtle masterpieces arising out of the totality of their creators' musical journey, that forced us to look at them a little bit differently. The same thing is probably true here, although I must admit that, other than kind of enjoying the Greenhornes' sound, I was largely unaware of Olive's work before this record. Happily, that is no longer the case. 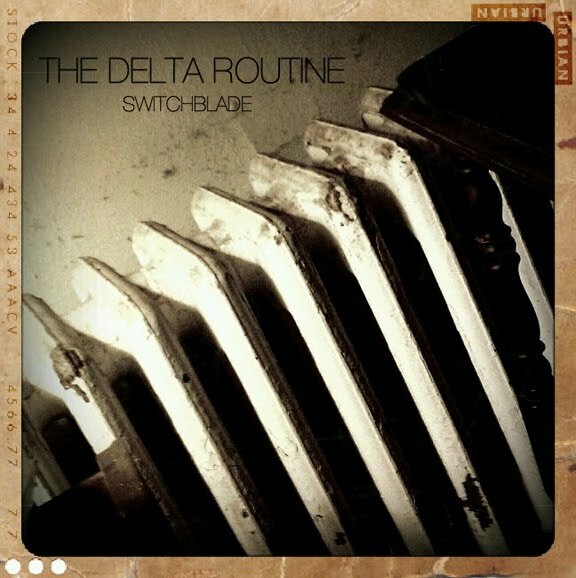 Highly recommended, and available via Alive/Naturalsound Records. Alive/Naturalsound makes our world a better place. 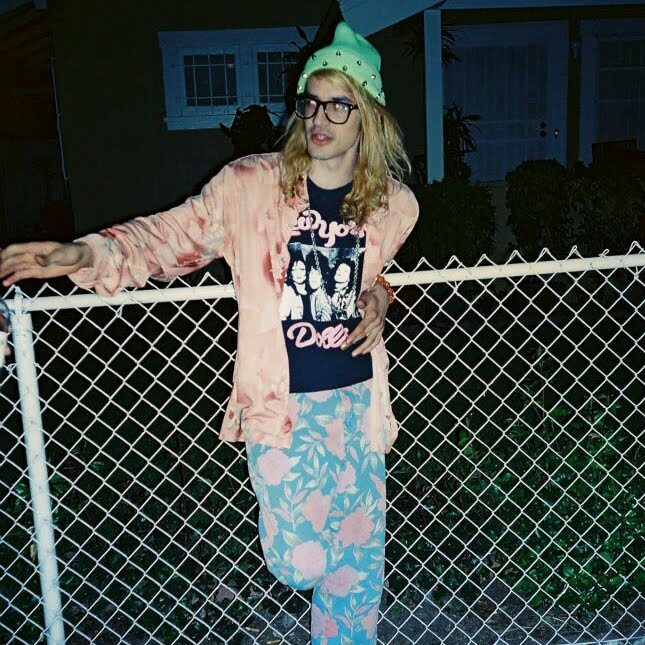 New Lo-Fi Rock Discovery: Snow Wite - "300°"
If you, like me, enjoy lo-fi, super-catchy guitar rock of the Wavves and Jeff the Brotherhood variety, I've got another delightful discovery for you. It's available from Gnar Tapes, and if you've followed Rocksteady's recommendations and checked out Honeydrum, you may have already been there. Blank Maps are Thom Piddock, Ben Trotter, Jake Longley and Nick Pierce, a post-punk rock band from Newcastle Upon Tyne, UK with an emphasis on melody. 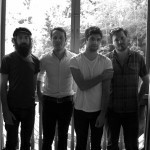 The band was formed in 2010, and just released the Blank Maps EP on Tiny Lights Recordings. Below you can sample the video for EP track "Just Call", and stream the entire EP. I think it is ideal stuff for relaxing outside on a weekend morning or to accompany a nice drive. In Keep on Pushing, Black Power Music From Blues to Hip-Hop, her outstanding book from 2011, Denise Sullivan writes of Odetta: "She was a champion of life, and she sang as if she'd die for her people." Soul music is a uniquely American mixture of blues, folk, country and rock'n'roll, and a deep dive into the black American experience at a critical time in history. I write it about here every week because I am so drawn to these voices. Denise Sullivan's book is a great read, and a terrific history for those who wanting to get behind the music and read about the political power of the songs and performers of the Civil Rights era and up to the present day. Everyone from James Brown, Len Chandler, Gil Scott-Heron, Marvin Gaye, Richie Havens, Jimi Hendrix to Public Enemy is discussed. York, UK's Fawn Spots were profiled here a few months ago (link). We are impressed with the duo's ability to make intense but melodic rock. Think Dischord Records or Japandroids and you'll be on track. Today we are alerting you to their new, two-track single, "Spanish Glass". The record will be released on August 20 by the Louder Than War imprint of Southern Records, and can be pre-ordered at the Southern Records and Bad Paintings links at the bottom of this post. Fawn Spots are Lee Bowden and Jonathan Meager. Yes, just two guys, but based on the sound they do the work of many men. To sample the single, check out the video for the title track below. Good music, good video -- happy Thursday to all! New video from Lee Bains III & The Glory Fires - "Ain't No Stranger"
We've been raving about Bains' album There Is a Bomb In Gilead since we first came across it in the spring, and pleased to tell you they've got a new video for "Ain't No Stranger", some new tour dates and a Daytrotter session to check out. Click here for the Daytrotter session (listen or download). Here is some excellent Glasgow indie pop from The Deadline Shakes. "Sweeten the Deal" will be available for digital download on November 5, but you can enjoy it between now and then right here. It has a classic guitar pop feel and an irresistible bounce. My suggested serving instruction is repeated plays for maximum good feelings. The Deadline Shakes are Greg Dingall (guitar/vocals), Iain McKinstry (guitar/vocals), Martin McLeod (bass), and Thomas Booth (drums). The single will be released on the fine Flower In The Dustbin label. With post-rock structures and rhythms, intriguing melodies and guitar tones that alternate among icy detachment, formidable distortion and a warm chug, Enterprising Sidewalks -- the first album in 18 years from Washington, D,C,'s Lorelei -- is a welcome entry into the 2012 soundscape. At a time when many bands, including many other bands (new and old) on Slumberland Records' roster are ably producing at the warmer, fuzzier end of the pop scale, Lorelei continue where they left off, justifiably confident in their ability to write complex songs that reveal themselves in layers. It all is on display in album opener "Hammer Meets Tongs", so I suggest that you give it a spin. 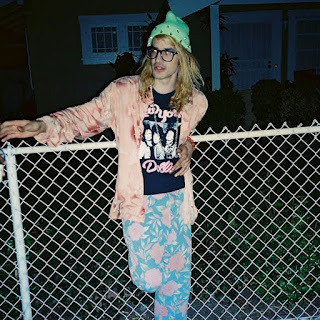 Enterprising Sidewalks probably will be one of the more unique albums you'll hear this year. It just may challenge what you think about the structure of a pop song. Just as you settle into a pop hook, the tempo changes and the guitar begins to shred. Songs that you think have ended will take off in a new direction. If you are like me, you favorite tracks will change with repeated spins, but overall it is an enthralling album that seems better with each listen. I highly recommend it. Lorelei are Matt Dingee (guitar), Stephen Gardner (bass) and Davis White (drums). The label is Slumberland Records, and the album was released on on Tuesday, August 14. Nashville, TN's Wild Cub is a duo - Keegan DeWitt and Jeremy Bullock. DeWitt has a soulful voice, and they play a mix of beat-based electronic music and a fuller electronic pop. It's pretty engaging - in places, reminiscent of New Order, and in places a little brighter than that. After playing Bonnaroo in June, they came back to Nashville to play a few local dates and work on some videos and the release of their new album Youth (out today, August 14 on Big Light Recordings). "Shapeless" (Official Video) from Wild Cub on Vimeo. And there is a new video, for "Jonti", available at IFC.com. You can listen and order a record, which includes a free download, on Bandcamp: Youth by Wild Cub These guys have a way with a song, and DeWitt a way with the vocals, that transforms this from what might be just another faceless dance-rock disc into something with a good bit of texture - check out the percussion on "Thunder Clatter", strings on "Streetlights" and the Afro-pop guitar on "Jonti". 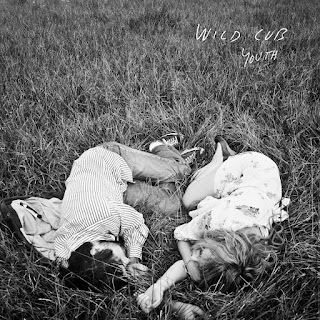 Youth sounds like it will be in the rotation a while. New video for TV Girls' "Misery"
San Diego's TV Girl is a favorite of mine. Their spring mixtape (available for free download here) provides hook-filled, clever electro-pop. Here is their new, self-made video for one of the tracks from that release. The mixtape can be streamed at the Bandcamp link below. 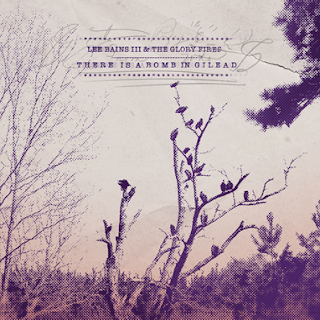 The band's previous EPs can be downloaded here. Athens, GA country rockers White Violet have released their first album, but it's been in the works for quite a while. Hiding, Mingling has a sad, quiet vibe to it, but with some sweet-sounding vocals that are kind of reminiscent of Whiskeytown. 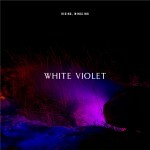 White Violet consists of Athens native and young music veteran Nate Nelson (who has released two solo albums already, the first when he was 16), and Vaughan Lamb, Brad Elliott and Josh McCauley. But on this record, his most frequent collaborators are Jeremy Wheatley on drums, David Barbe on bass and Matt Nelson on electric guitar. Producer was Andy LeMaster, of Now It's Overhead. It's an extremely intimate record. Nelson's voice is laden with emotion and affect, and on the quieter tracks, you can hear fingers moving up and down the acoustic guitar strings. But on some of the tracks, the rhythm section gets to chugging along, and the contrast is part of the appeal. It's good acoustic country, with rock and folk touches throughout. We featured an advance single, "Lays Around Lazy", on WYMA earlier this summer (click here). And a second advance single, "4AM" is available here. You can stream the record at Spinner - click here. The record is out Tuesday (August 14) on Normaltown Records, a new imprint of Americana stalwart New West Records. The third summer gift from Glasgow's Father Sculptor now is available for streaming and download. "Aristide" contains the yearning, emotive vocals of the band's prior work, but has a feel that is more intimate and, perhaps less dark. It shouldn't be necessary to mention that I think you are a bit of a fool if you haven't been downloading these Father Sculptor offerings as they become available. But whether you've availed yourself of the others or not, don't miss this one. New Guitar Rock Discovery - The Delta Routine, free download of "Switchblade"
The album is Cigarettes and Caffeine Nightmares. From the album and song titles, you might guess it's down and dirty barroom blues/rock, and you'd be right. Looking forward to hearing the rest of the album.